Welcome to our latest video listening exercise for young learners. In this post, a series of video learning exercises, reading Love That Dog by Sharon Creech. These exercises are designed for our Young Learners and are a perfect compliment to existing study. Please feel free to let your child view the videos as a compliment to reading study. As always, you can contact us by commenting below or using our contact form. Enjoy! 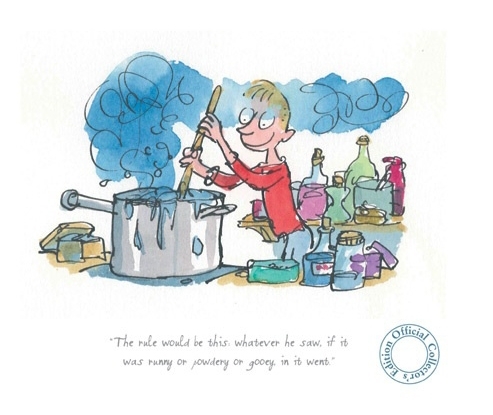 Welcome to our series of video learning exercises for Roald Dahl’s George’s Marvelous Medicine. These video learning exercises are designed for our Young Learners. They are equally strong study tools for those that are studying George’s Marvelous Medicine in school and or those interested in adding some extra listening exercises to their English language learning routine. Sit back and enjoy as a family or let your child learn on their own! This video learning exercise is designed for students to listen and read along with James Heywood, a native English speaker who reads the story, while pictures and meanings appear on the screen to help with new vocabulary. Our youtube channel provides listening and reading exercise for Turks Learning English, which compliment our online conversation classes. Check out our İngilizce Dersleri section for videos designed for Adults. If your interested in online lessons for your child, please feel free to contact us here. Rikki Tikki Tavi is a children’s story from The Jungle Books by Rudyard Kipling. Bosphorus Trial Run: Learning English using current events! Dear Students, welcome to our latest video in our İngilizce Dersleri series. These videos comprise reading and listening exercises designed for Turkish English language students. They are a great compliment to live conversation classes. We take a current event news story, and use it to create a video learning lesson. The video introduces vocabulary from the article. If you find the video is moving too fast, we encourage you to pause, take notes and continue. Alternatively, go back in the video to sections where you struggled. In this video series, we like to focus on current events relevant to Turkish students. 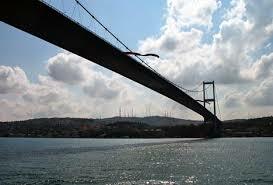 This week – the first tunnel to be built under the Bosphorus strait in Istanbul! This article was originally published on the Guardian’s website on August 5th, 2013. You can find a copy of the article here. The article reports on the first “trial” run of the new metro line that will run under the Bosphorus connecting both sides of Istanbul. The new metro line (when opened) will connect the European and Asian sides of Istanbul via a 13.6 km long tunnel with a 1.4 km immersed tube. The Turkish prime minister boarded the Bosphorus trial run on Sunday August 4th, 2013. This project will be the first of PM Erdogan’s “mega projects” for Istanbul. It is designed to significantly reduce the travel time and commutes for passengers living and working on both sides of Istanbul. The project is being constructed by a Japanese consortium and is expected to be opened to the public at the end of October 2013. It forms an integral part of the Marmaray project, which will include a rehabilitation of the suburban rail lines on both sides of the Bosphorus. Please let us know if you enjoyed this video, and give us suggestions for future topics! Welcome to our guest article for TeachingEnglishOnline where we discuss the benefits of online lessons. 1: Kill the commute: As urbanization grows across the world, the commutes in many of the world’s largest cities can be hellish. Many students learning English as a second language are also young professionals working long hours. If a young professional leaves work at 6:00 pm they may not arrive to a centrally located language school until 7:30pm. Three hours of class later and they are lucky to arrive home by midnight. This cycle is not sustainable. Taking online lessons in large cities removes hours of unnecessary travel time. In rural or remote areas, this may be your best chance to access professional, well run classes. 2: Focus on conversation: Most adult students do not need another grammar lesson; they need communication confidence. As any online teacher knows, the virtual world is a great platform for developing language communication ability. When a student pops on their headphones, they are able to focus with concentration that is rarely seen in a physical classroom. Better yet, the online classroom does not inhibit students in the way that a traditional classroom does. Fewer students and the webcam somehow boost a student’s willingness to take risks and make the mistakes every learner needs to advance in a language. 3: Between classes: Video self-study lessons for outside of classroom reading and listening are extremely powerful. These video lessons can enrich your students’ experience and provide them with an additional way of connecting with you as a teacher. At TurksLearnEnglish.com we’ve created a series of videos called İngilizce Dersleri where we read current event articles related to Turkey and introduce new vocabulary. So far they are a big hit with our students. 4: Location flexibility: Students likely travel. If they are working in a competitive field, sometimes they’ll have to travel without much notice. Even if they don’t travel, they often have to stay late at work and do not have time to get away to an 8pm class. Online lessons give students the ability to stay up to speed with their lessons even if they need to skip town for a week or work late. 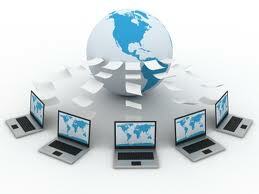 5: Additional tools: There are many things that can be done online that cannot be replicated in the real classroom. Running games and quizzes using pre-developed lesson plans and screen sharing is more natural online and can be great for motivation. Using the chat function to help students while conversing is also a great tool. Recording lessons can also be powerful. We’ve found that many of our students like to go back to lessons they found challenging and review them. We hope you’ve enjoyed our story on online lessons. We would love to hear your thoughts! James and Kris are co-founders of TurksLearnEnglish, a site dedicated to getting Turkish speakers to build communication confidence. For any online educators out there, feel free to take a look at and use our online-self study videos in our İngilizce Dersleri library. You can get in touch with them through the contact form on our site or email info@turkslearnenglish.com. Merhaba, and welcome to the second part of our two-part guest article for ELT Jam. Here we give our readers, students and prospective students some insight into why we started TurksLearnEnglish to address online ELT for Turks. Why focus solely on online ELT for Turks? Several people have asked me this exact question to date. If you believe in your product, why limit it to Turkey? As we’ve already pointed out, the English language presents particular challenges to a native Turkish speaker. It makes sense for Turks to learn English online in a classroom with multiple Turkish students, rather than in a cross-cultural setting that you may find in a global online ELT service such as Live Mocha. Turks have a very strong sense of identity. Since motivation is a deciding factor in every education undertaking, a knowledge and appreciation of Turkish culture, and understanding what Turks find interesting, is all-important. We understood that our role was to provide good teaching and uplift motivation, within the bounds of a Turk’s experience, understanding and expectation. With this in mind, we decided to launch TurksLearnEnglish.com, a site dedicated to providing communication confidence to unlock the dormant language resource that many Turks possess. We offer conversation classes for up to 6 adults at a time and staff our classes exclusively with native English speakers who have experience teaching in Turkey. We launched in May 2013 and have been learning ever since. As a supplement we have launched our İngilizce Dersleri series (video self study exercises) and our Türklere İngilizce series (language lessons that target areas of English that many of our Turkish students have problems with) for free. 1: Kill the commute: The commutes in Turkey’s largest cities (Istanbul, Ankara) can be hellish and working hours are relatively long. If a young professional leaves work at 6:00 pm they may not arrive to a centrally located language school until 7:30pm. Three hours of class later and they are lucky to arrive home by midnight. This cycle is not sustainable. 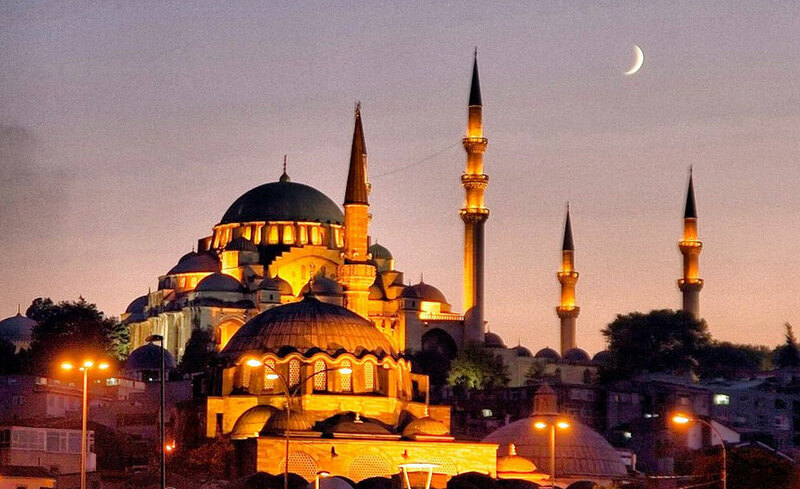 Offering online classes in a city like Istanbul, removes hours of unnecessary travel time. 2: Focus on conversation: Most adult students in Turkey do not need another grammar lesson. They need to speak. As any online teacher knows, the virtual world is a great platform for developing language communication ability. When a student pops on their headphones, they are able to focus with concentration that is rarely seen in a physical classroom. Better yet, the online classroom does not inhibit students in the way that a traditional classroom does. Fewer students and the webcam somehow boost a student’s willingness to take risks and make the mistakes every learner needs to advance in a language. 3: Leverage Turkish themes: Turkish culture is strong. It’s very difficult for a Turkish student to relate to a grammar curriculum with subject matter based on Western themes. We’ve developed a curriculum (for both our conversation classes and our İngilizce Dersleri series) that is almost entirely based around Turkish themes. We try to use current events, history, culture, food, movies and other popular entertainment as much as possible. 4: Keep it Turkish: Although we agree that complete immersion is best practice for developing language ability, we find there are benefits of having students from a common linguistic background. When we started researching our competition (global online ELT start-ups), we were very much impressed. But we did notice that having students in one classroom connected online from all over the world seemed bit disorganized and inefficient. So far we’ve seen our students correcting each other and learning from their mistakes. This happens a bit less in a multi-linguistic setting. So there you have our manifesto. Despite the numerous challenges, successes, re-designs, re-re-designs and countless late nights since our launch, we believe we are on to something. It’s too early for a “lessons learned” story but we will be sure to update you once we celebrate our first anniversary! We hope you’ve enjoyed our story. We would love to hear your thoughts! Merhaba, and welcome to the first of our two-part guest article for ELT Jam. Here we give our readers, students and prospective students some insight into why we started TurksLearnEnglish. Like most new ventures we began with lengthy and impassioned exchanges about inefficient user experiences, how technology could break down barriers, our general appetite for disruption, naive optimism and enthusiasm for bringing change. Conversations over beers produced A3 sheets covered in a multitude of diagrams, and eventually something that looked like our first product mock-ups. James (co-founder) had spent years teaching English as a second language in Turkey in a variety of settings; high-end private schools, everyday language institutes and private lessons. James was often struck with what he thought was an inefficient system. I was a recovering finance professional who may have read one too many Paul Graham articles and was looking for an entrepreneurial challenge. Both located in Istanbul, we came together and built a product for the Turkish market. English proficiency in Turkey is low but improving drastically. In 2007 Education First ran its inaugural English Proficiency Index, at which time Turkey ranked 43rd out of 55 countries (behind Syria, Saudi Arabia and Russia). In 2012, Turkey ranked 32nd. This jump illustrates the push for English fluency in Turkey both at a policy level and within households and companies. With Turkey’s continued emergence as a regional business, tourism and cultural hub – and the very real chance that Istanbul may be awarded the 2020 Olympics this September – the push continues to gain impetus. From a general linguistic perspective, Turkish is a wildly different language to English. Turkish is agglutinative. For example, suffices are added to a word stem to add person, tense, negation, etc. The English phrase He will not have to eat can be expressed in Turkish as a single word, with eat as the root. The order of words in a phrase is generally very different in Turkish and English. As such, Turkish native speakers are starting at a linguistically challenging position when learning English, compared to students whose mother tongue is a Romance language. The quality of public English language schooling in Turkey varies significantly. All students take a minimum four years of English language classes beginning in the fourth grade. Yet, depending on the quality of the school being attended, the results are extremely divergent. Most Turks have taken English classes and possess grammar knowledge of English, yet spoken English remains a challenge. Finally, the Turkish education system is test based. There are qualification tests for just about everything in Turkey. Many universities and Human Resource departments require a grade threshold on an internationally recognized exam such as IELTS or TOEFL. A good score on any recognized exam will always be positive on a candidate’s resume at almost any level, from entry-level positions to the executive leadership. Turkey’s favourite pastime: learning English! With these market dynamics (push towards English proficiency, significant linguistic challenges, inconsistent quality of public education, test based education / employment system) it’s no surprise that the private language institute industry in Turkey is extremely robust. There are literally hundreds of companies with multiple locations across the country offering everything from IELTS preparation to Business English and interview skill preparation. The quality of language institutes in Turkey varies greatly. It’s a rather disorganized market. If you walk down Istiklal Caddesi (one of the main pedestrian drags in central Istanbul) on any day you may receive flyers for five or six different institutes. Almost every institute offers, well, everything. Teachers range from quality lifelong teaching professionals to very inexperienced ESL teachers on a GAP year, and everything between. Some are native speakers, some aren’t. Some teach full time, some don’t. The outcomes for students attending private language institutes are naturally diverse. Classes are focused on grammar and may contain up to 20 pupils; there is little opportunity to speak. Most adults attend classes after work and in the larger cities of Turkey traffic is a nightmare. By the time students commute from work to the classroom to attend a three-hour grammar class, both motivation and energy can be shot. It’s unsurprising that many Turks drop out before completing their 6 to 12 week course. If a student fails to complete the course, there is naturally a sense of embarrassment. Similar to many Middle Eastern and Asian cultures, Turks have a strong sense of “face”. After experiencing embarrassment (losing face) they may tend to avoid the situation rather than confront it. The loss of face that can happen when a student drops out of a course can be disastrous. The student is often too embarrassed to even discuss the situation with parents, spouse, co-workers and friends. Success in English might feel out of reach and the idea of attending another English course becomes unlikely. Inefficient market? Is this really an opportunity? You can now picture our nightly drawn-out conversations focused on improving a weak student / user experience. From my perspective I saw a large, growing, unconsolidated market with lots of undifferentiated competitors. James was an eyewitness to a student experience that wasn’t producing encouraging results. Our idea was simple: the goal of almost any adult student over the age of 25 was to be able to speak English effectively. We decided to build a product to address that need and that need alone. We like to think of it as online ELT for Turks. Simple, yet effective. James and Kris are co-founders of TurksLearnEnglish, a site dedicated to getting Turkish speakers to build communication confidence. For any online educators out there, feel free to take a look at and use our online-self study videos in our İngilizce Dersleri library. You can get in touch with the founders through the contact form on our site or email info@turkslearnenglish.com.